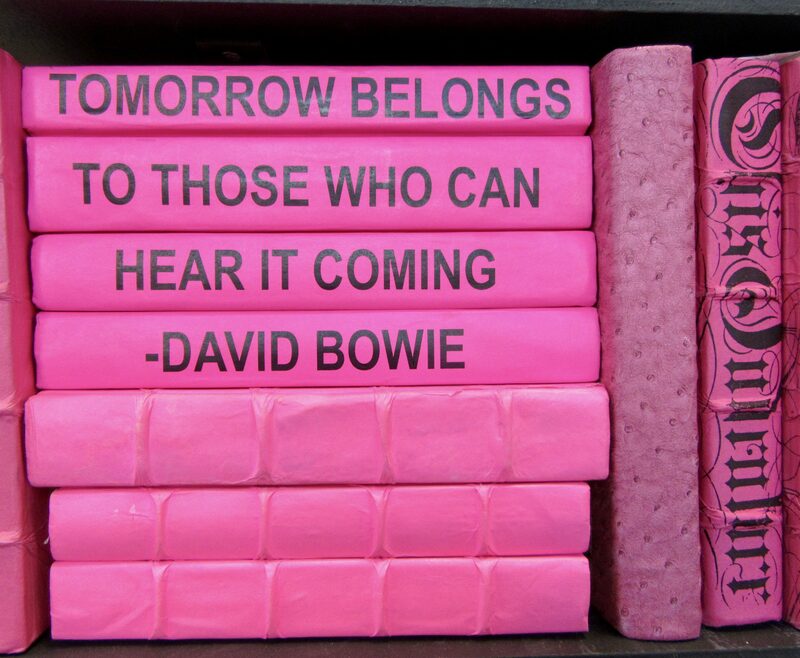 This quote by the late great David Bowie — “Tomorrow Belongs to Those Who Can Hear it Coming” — gets a vibrant new life when printed on the spines of horizontally stacked book that have been wrapped in pink paper or vinyl. According to this source, “Tomorrow belongs to those who can hear it coming” was the slogan David Bowie coined to promote Heroes, the second installment of his great Berlin album trilogy. It neatly captures one of his most important talents: to intuit the future and draw it forward into the popular culture of the present. 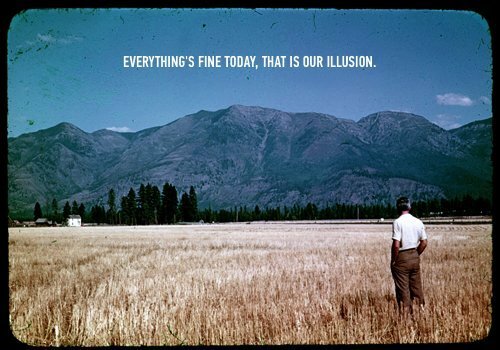 Sometimes he would simply grasp the importance of a trend, as when he understood that the arrival of the internet would transform the economics of the music industry and the relationship between artists and audiences. But more often it was his artistry in self-reinvention that opened up new modes of cultural expression or brought shooting up to the surface deeper social trends. When he famously threw his arms round Mick Ronson’s shoulders on Top of the Pops, he was doing more than advertising his bisexuality. 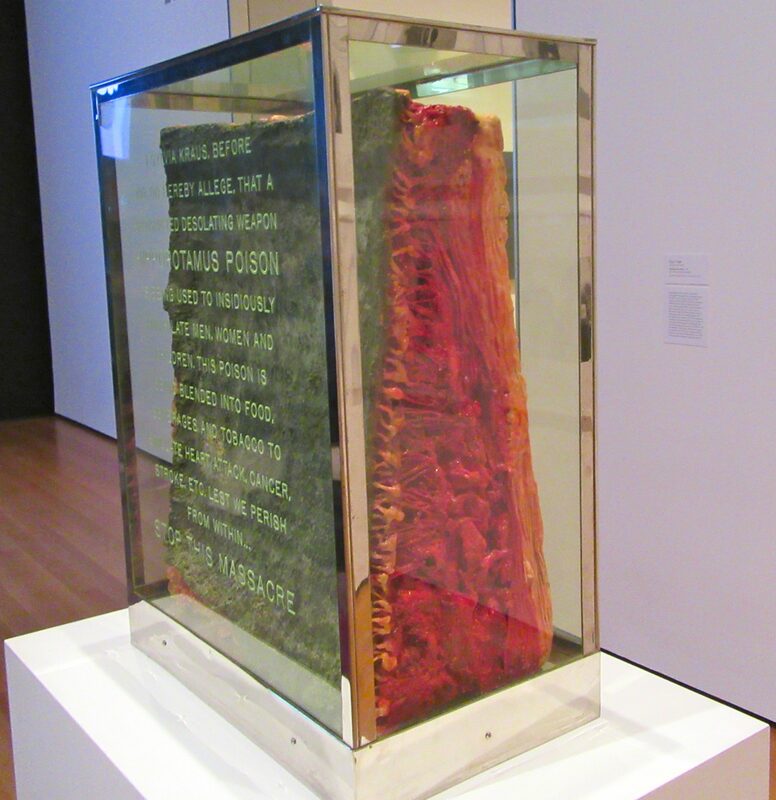 He was helping catalyze the liberation in the politics of sexual identity that would unfold in the 1970s. Photographed at the New York Now Home Show at Javits Center in February of 2018. 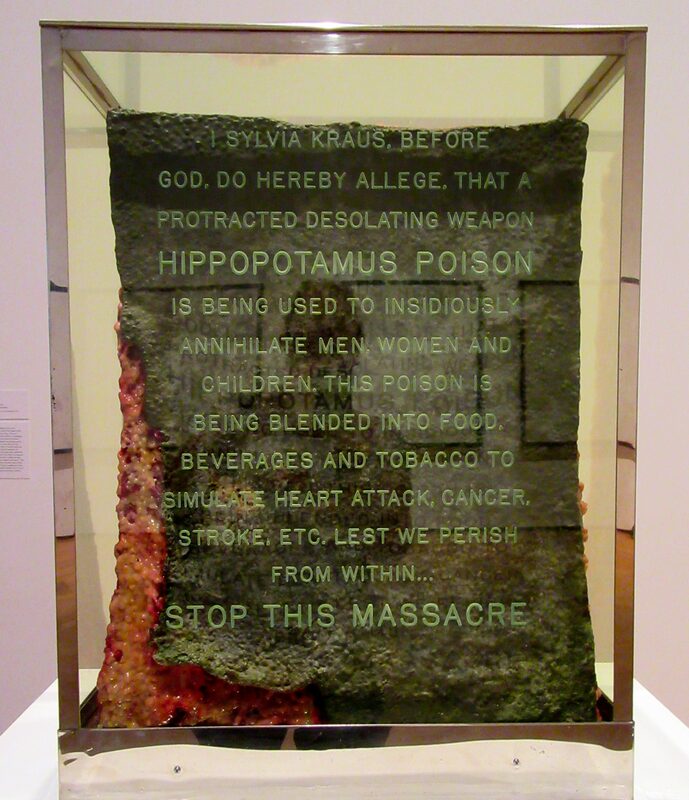 Hippopotamus Poison (1965) belongs to a series of Technological Reliquaries, which Paul Thek (1933 – 1988), began in New York after a summer spent in Sicily. 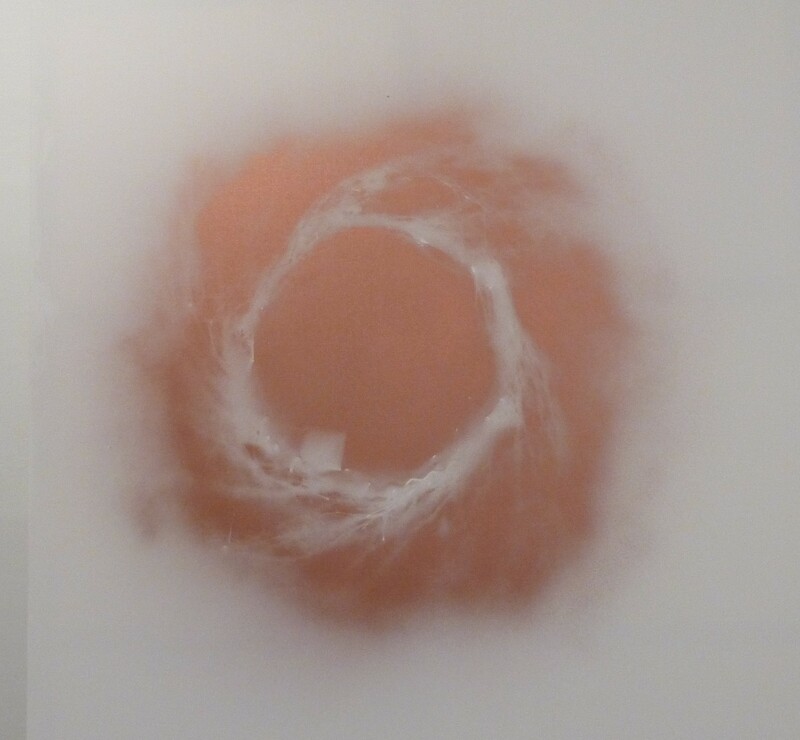 The work engages the Roman Catholic tradition of venerating saintly bodies that Thek had observed first-hand in the catacombs near Palermo, and simultaneously offers a critique of the art of the time, Pop and Minimalism in particular. 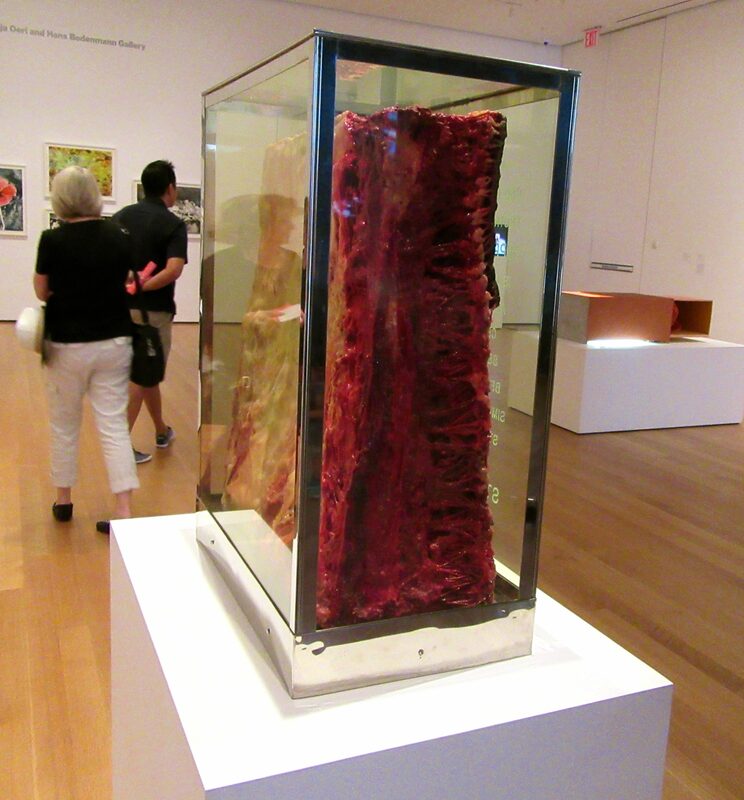 Within a visually seductive display case made from colored Plexiglas sits what appears to be slab of rotten meat, realistically rendered in wax. 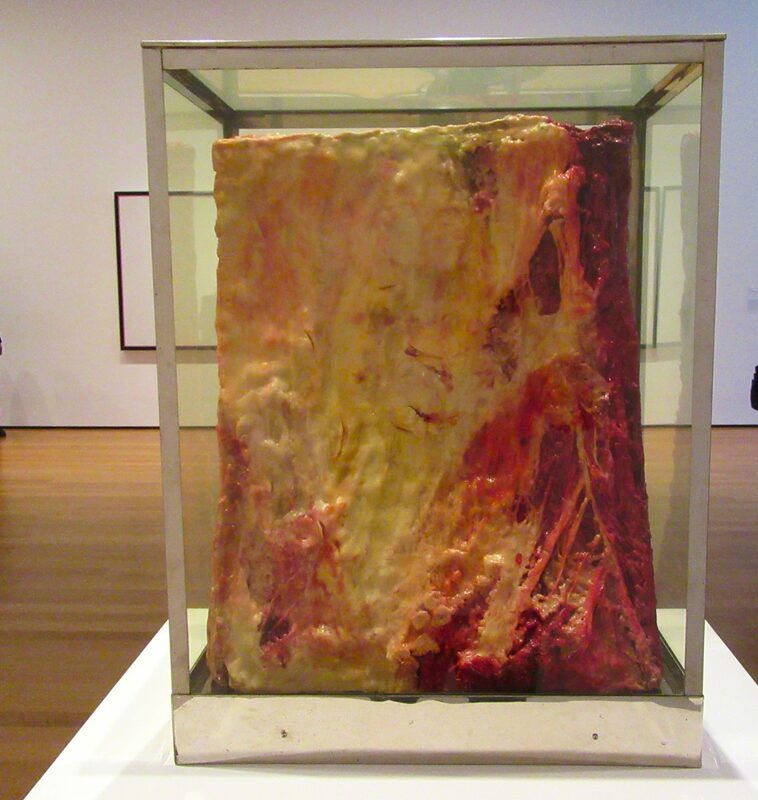 On the day I was there, many tourists and visitors, in fact, walked right by it without noticing it at all. 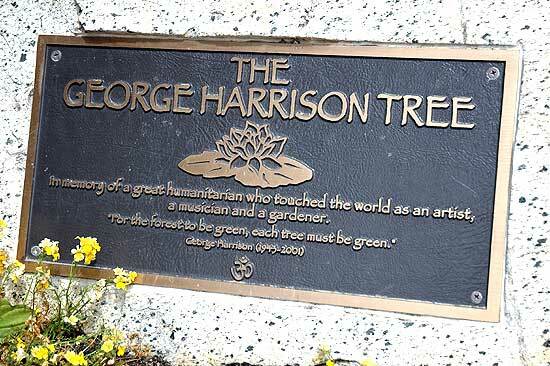 There is no signage that leads people to the tree, and the memorial plaque is near the ground and out-of-sight. Furthermore, I didn’t see any buskers or fans with guitars either playing “Here Comes the Sun,” “Something,” or “My Sweet Lord” (or any of Harrison’s many other well known songs). Instead, with my own private thoughts and reflections, I enjoyed that pine tree in peace just as George, I’m sure, would have wanted it. Most people know the name Kim Gordon for her prominence in the music industry as the vocalist and guitarist for Sonic Youth, but Gordon is also an accomplished artist and filmmaker, having graduated from LA’s Otis College of Art and Design in the 1970s. 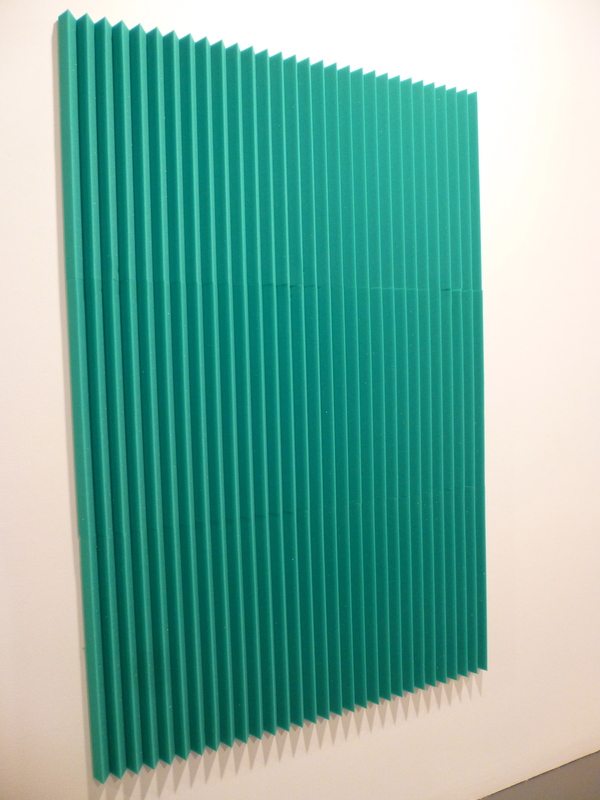 Gordon is currently exhibiting a collection of her Paintings, Sculptures, Installation, Performance Art Documentation and Films in a show called Design Office with Kim Gordon – Since 1980, at White Columns Gallery in downtown Manhattan. Gordon has also written extensively about art and music, and several of her books and articles are also part of the exhibit. 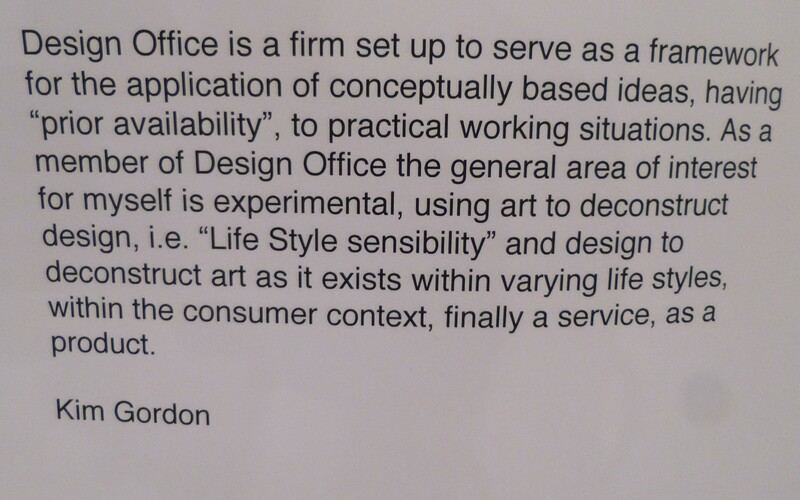 Design Office with Kim Gordon works well as a career retrospective of Gordon’s body of work from 1980 to the present, and while it is impressive for revealing her willingness to experiment with a variety of mediums and the obvious passion she has for her artistic expression, it reminded me very much of the student art exhibits I attended in college. My favorite quote attributed to the late great Andy Warhol is “Art is What You Can Get Away With.” I see a lot of art and all I can add is that I believe he was correct. 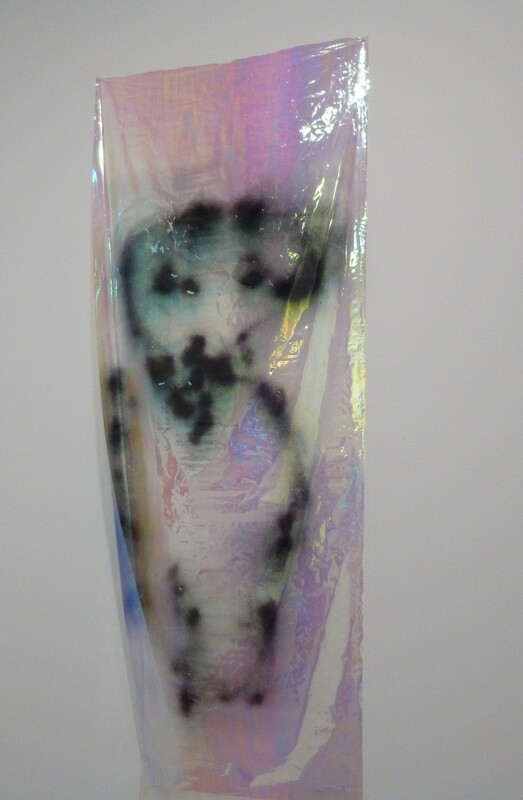 The highlight of the exhibit for me was the ten minutes I spent in a small screening room watching part of the film X Girl Movie (1995), in which actress Chloë Sevigny roams the city, eventually crashing a Marc Jacobs Fashion Week event, looking for a man named Guy Lionaise who works at The UN. 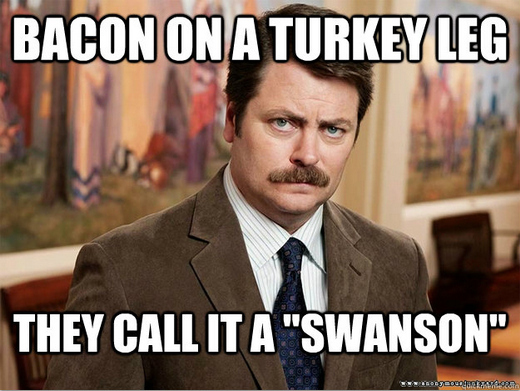 It’s more interesting than it sounds. 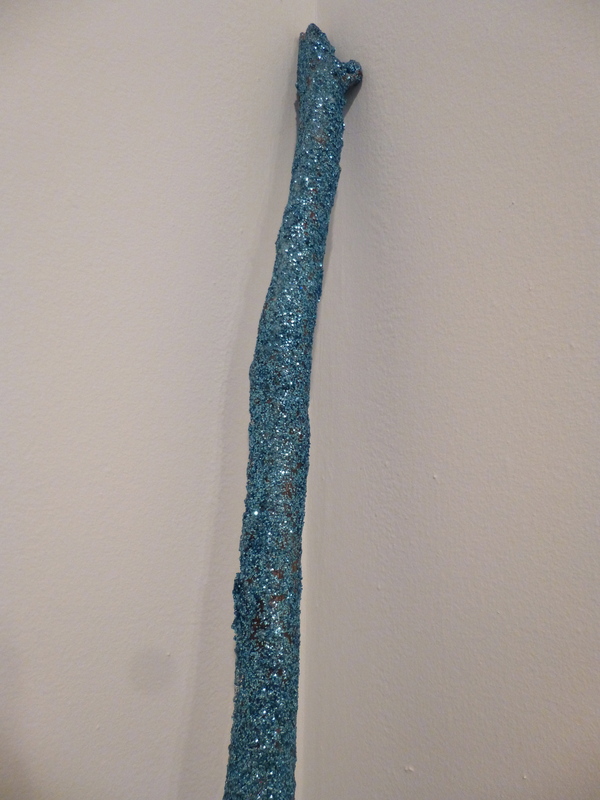 I also liked her Twitter Paintings, which reminded me of the word art of David Shrigley, a tree branch painted with ice-blue glitter and one or two other isolated pieces, the best of which I’ve shown here. 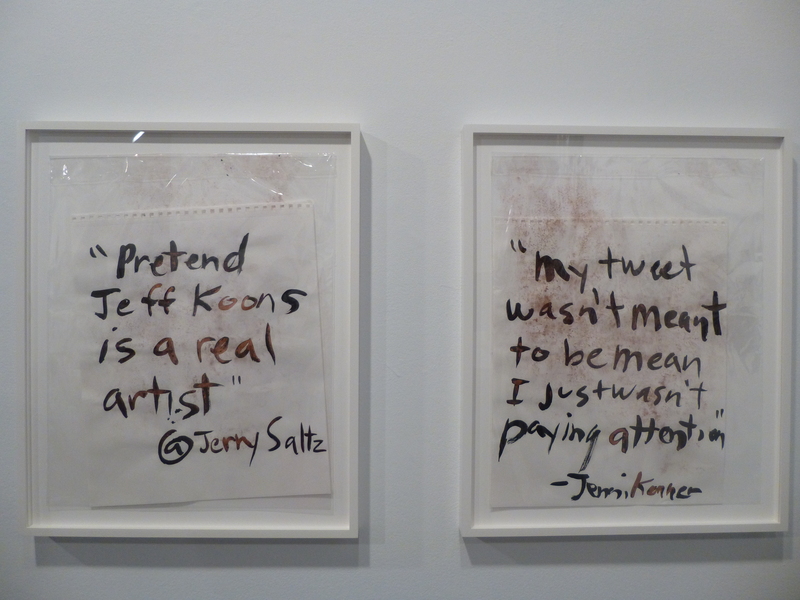 That said, I’d tend to recommend this exhibit for fans of Kim Gordon and/or Sonic Youth, only. 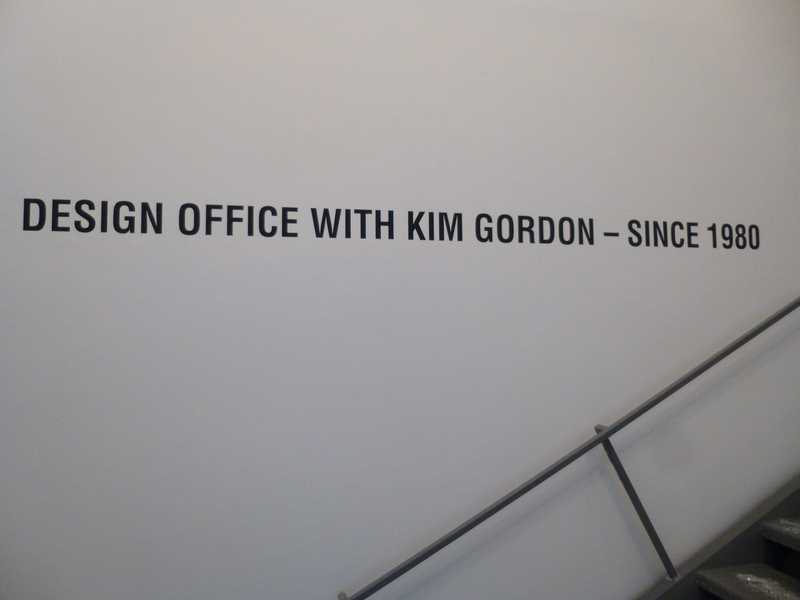 Design Office with Kim Gordon – since 1980 will be on exhibit through October 19th, 2013 at White Columns Gallery, Located at 320 West 13th Street (Enter on Horatio Street, between Hudson and 8th Avenue), New York, NY 10014. 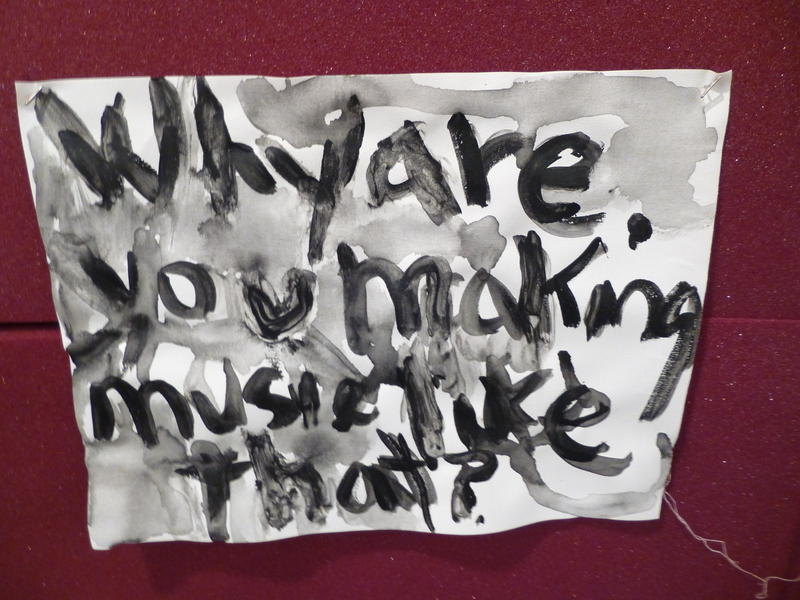 Gallery Hours are Tuesday – Saturday from 12 Noon – 6:00 PM. I love chocolate, and apparently the late, great Andy Warhol was a lifelong fan of the sweet stuff as well. Now, in homage to the Pioneer of Pop Art, Praim Group – a food licensing, marketing and distribution company – has secured an agreement with The Andy Warhol Foundation for the Visual Arts, Inc., to create and distribute a line of all-natural chocolate bars featuring the likeness of the globally famous Artist on its wrappers. With four different designs, each wrapper also boasts one of Warhol’s famous quotes including, “All I Ever Really Want is Sugar,” “Everybody Must Have a Fantasy,” “The Idea of Waiting for Something Makes it More Exciting” and the artist’s arguably best known and definitely most misquoted saying, “In the Future Everybody Will Be World Famous for 15 Minutes.” The 3.5 ounce, all-natural “Chocolate Andy Bars,” available in both dark and milk chocolate, are an ideal collectible and perfect gift for any art fan! Distribution outlets are still being acquired, so I can’t say how soon this edible chocolate collectible will be available at your neighborhood supermarket or specialty shop, but in the meantime the Andy Bars can be purchased for $5 each directly from the Praim Group’s website at This Link. 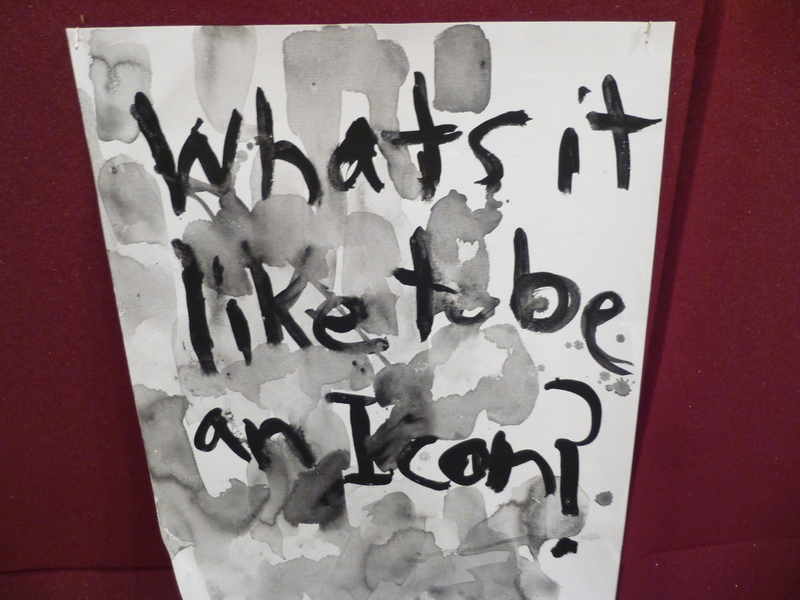 Andy Warhol!